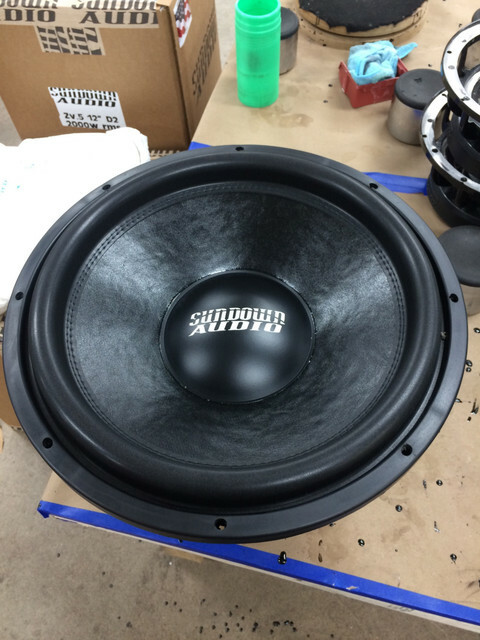 Refurbished Sub-Woofers @ Sundown 2019 - Car Audio Classifieds! 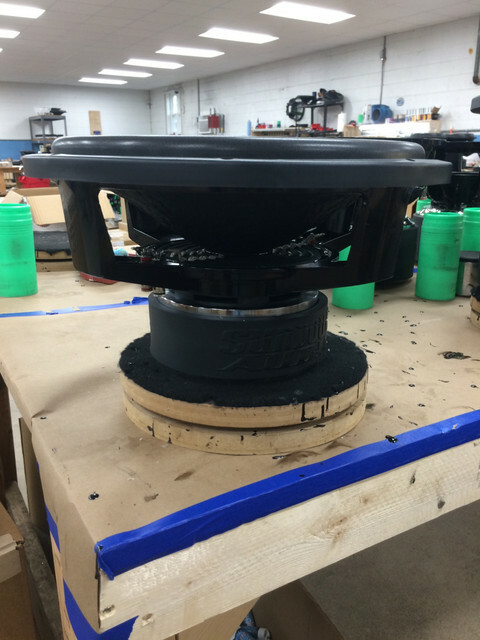 We are once again making refurbished woofers available. 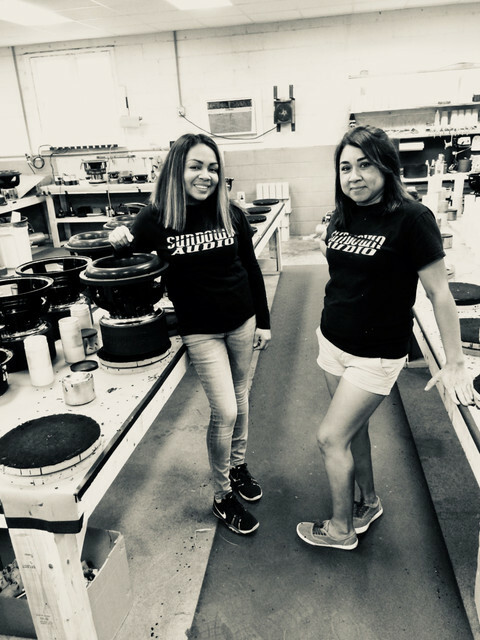 As opposed to "Yard Sale" products these are re-built by two of our full time in-house builders (my wife Miriam & Janet) and ARE *guaranteed* to work when you get them ; although, there won't be any extended warranty beyond the guarantee of no DOA. These are drivers that have come back in through our RMA process (or maybe even used for testing here) -- they may have been replaced under warranty or they may have been paid replacement jobs. So we are left with a used motor & basket in stock. These may be various cosmetic revisions and varying cosmetic condition as far as the motor is concerned, they may have used baskets that we have cleaned off the old glue or if the basket was not usable we may replace it with new, terminals may be used or replaced if they are damaged, gaskets can also be new or used. So they will vary; from the front it would be almost impossible to tell they aren't new, though -- what will NOT vary is that the soft parts are all brand new and they are all re-built by Miriam & Janet. 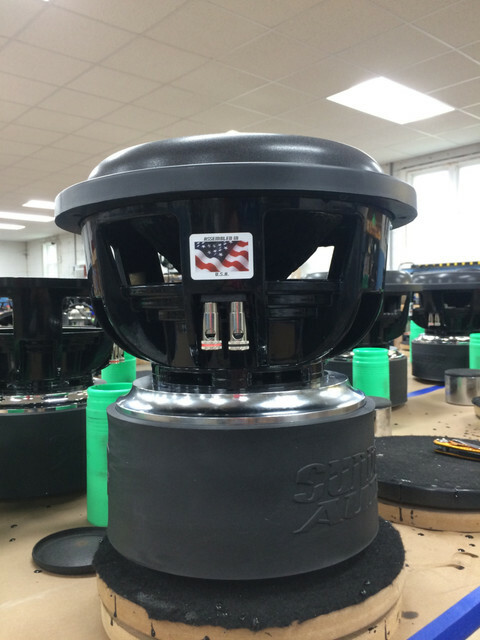 ** These can be built with SA cone / spider at no extra cost to work well in a ported enclosure. ALL PRICES ARE SHIPPED to continental 48 states -- Pricing is FIXED; no haggling. This program is only for the continental 48 states of the USA. These will likely take about a week or two or so on average if not already re-built ahead of time. "This payment is for 1x Z v.4 18" Dual-2 // Refurbished"
Before paying... be sure to contact Miriam for availability. Last edited by sundownz; 03-20-2019 at 09:51 AM. Last edited by sundownz; 03-20-2019 at 09:52 AM. This is not helping my subwoofer hoarding addiction. zv5 sundown frame what is this about ? I put a Hybrid SD3-12 D4 in a prefab ported box, 1.3 cu ft after displacement and supposedly tuned to 38Hz, just before Christmas in a friends trunk with 600W going to it. It's a 3-way active from a Pioneer 80PRS so after running the eq setup and calibration I've tinkered with it here and there. For her, a non-audiophile who loves music, she loves it. To me, I think it sounds decent but not as tight as my SD2-10 D4 in a 0.5 cu ft sealed box in the cab of my truck. Hers gets louder in the 50-100Hz but mine plays deeper. I'm not an expert on all things car audio. I know just enough to be dangerous/stupid so I hope this maybe helps you out. I feel it could still be tightened up and would sound more comparable if it weren't in the trunk and playing through a backseat. Which leads me to my own question. I've been thinking of upgrading to the SD3-10 D4 from the mentioned SD2. Is the sound quality a big enough difference to warrant the cost? I'm pleased with how mine sounds but would also love to get a little deeper and cleaner if there's a quantifiable difference (I know it's completely subjective). It means NOT an older 12-spoke, 4-spoke, or 6-spoke type frame. It is our tooled frame.